Vampire facials aren’t just the next wacky skin trend. It’s not the equivalent of a microderm or a chemical peel and it isn’t going to go away tomorrow. Some refer to them as “the vampire facelift,” but their medical name describes them as a “PRP treatment for the face.” Since it’s a fast healing process that medical professionals everywhere apply to slow healing ailments it eventually seguedinto the skin care area of treatment options. Why Do People Get A Vampire Facial? In short, they want to revive their skin without having to invest their time and money on risky invasive procedures that produce results that look closer to Cher’s face than their youth. But it’s not just in regard to anti-aging, which is something most skin care professionals suggest you start considering once your turn 25, it’s about everything undesirable about your skin. Thinking of that alabaster, Nicole Kidman-like skin that you’re hoping for? The vampire facial is the skin treatment that acts as the gateway to that as it can solve acne issues and generally get your skin back to baseline. And not the baseline from when you were 13 either. While some folks might be tickled by the popular culture name for the facial, the PRP treatment for the face is actually worth more than just the novelty of saying you’ve done it before. The PRP injections stimulate collagen production like no other treatment available. It combines the same idea of a microneedling treatment which is already stimulating the healing of the skin on your face and it combines it with the power of the plasma content in your own blood. The result is a remarkable decrease in scar visibility, the gentle but firm correction of sun damage actually minimizes the size of your pores while healing fine lines that have formed. With fewer wrinkles, smaller pores and healed sun damage, you’re looking at permanently solved cosmetic issues for your entire face. 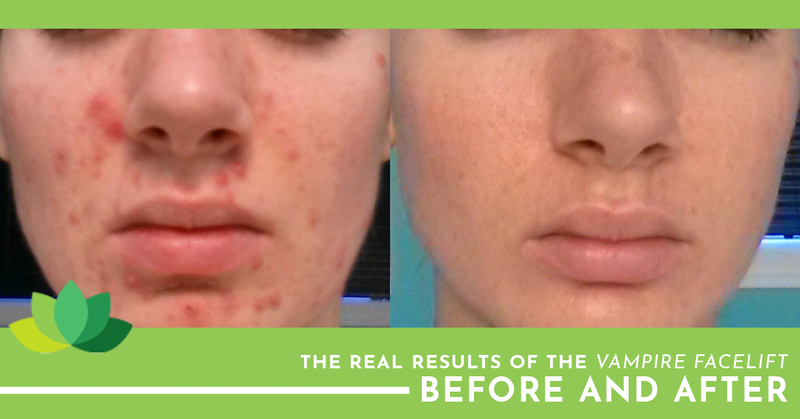 After the first treatment, you’ll see results. For a non-invasive procedure, the level of healing and the rate at which your acne scars, pimples and fine lines disappear is remarkable. Dr. Bronfman Beauty recommends a few treatments of the PRP facial to see the full extent of the favorable effects, specifically around three treatments about once per month. However, if you’re only wanting to experiment with the vampire facial first, we have such faith in the procedure’s one time effects that you’ll be satisfied with even one of the treatments. If you’re excited to try the new vampire facial and see what all the hype is about, we’re eager to help. Reach out to us to schedule your next appointment to transform your skin now at our Manhattan offices.